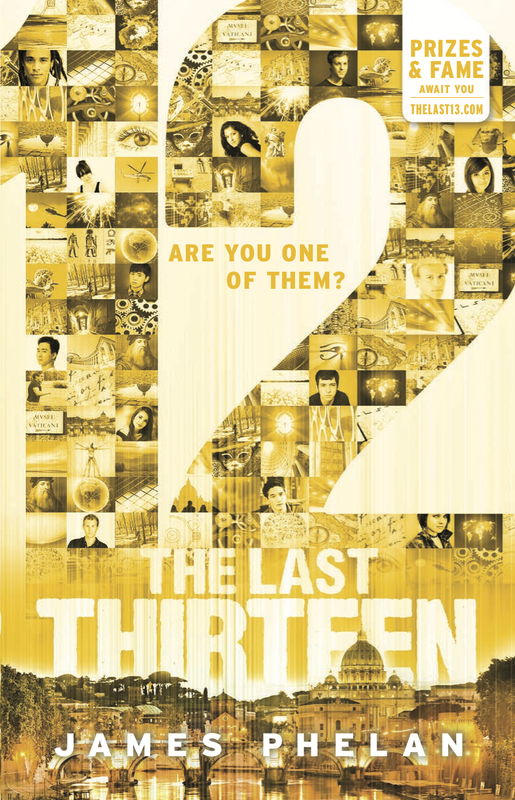 THE LAST THIRTEEN is a 13-part serialised thriller series for young readers (aimed at ages 8-15) and counts down from 13 to 1... this book, "12", is the 2nd book in the series. This is where you die, Sam… The nightmare is real and Sam must face his destiny. Will the chilling prophecy and the ultimate battle against Solaris come true? Nothing could have prepared Sam for this terrifying new life as one of the last 13 Dreamers. From New York to Egypt, to Italy—the search for the rest of the last 13 will take Sam across the globe. He cannot do it alone, but who can he really trust? He must find the rest of the last 13. The veins bulged in Sam’s head as he grit his teeth in pain. Sam pounded at the arm wrapped tight around his neck but his enemy’s grip was too strong. He desperately tried to break free as the sound of the oncoming train grew louder. Use your opponent’s force against them . . . that’s it! Sam suddenly stopped struggling and leaned forward to take the weight of Solaris on his back. He staggered quickly towards the train tracks. With his last bit of strength, Sam heaved him over, finally breaking free of the stranglehold and reeling back from the platform edge. Solaris landed on the tracks with a loud thud and lay motionless. Sam crashed to his knees, gasping, hungry for air. Turning, he stumbled to the bench seat, reached out to it and picked up the Star of Egypt. By the dim light of the emergency lighting system in the subway station, he saw his reflection in the smooth crystal surface, and wiped away blood from a cut on his lip. Finally . . . Sam looked back in the direction of the tracks. No movement. It’s over. He began to walk away—then stopped cold. He felt a presence behind him. Sam turned in time to see Solaris climb up onto the platform. No! It can’t be. Sam edged back a step. I don’t think I have another fight like that left in me. He brought up his hands, forcing himself into a defensive stance as Solaris approached menacingly. I can do this. I must do this. The train thundered past at high speed, the carriage lights flashing across Sam’s face, throwing Solaris into shadow. Sam braced in a side-stance, ready for the onslaught as the dark figure started to run towards him. Sam ducked, his hands over his head. Sam looked up and saw Solaris crumple to the ground. Then there was no movement, no sound but Solaris’ rasping breaths through the mask. Sam could see two darts protruding from the exposed and suddenly very human-looking neck, the chest moving up and down slowly. Sam spun around to find the shooter but could see no-one. He reached down for the mask.I have to know . . .
As Sam’s fingers curled around the bottom of the mask, he steadied himself, preparing for . . . who knew what? No-one had ever seen this creature before. He pulled hard and fell back as he recognised the face. The female Enterprise Agent . . . the woman from the alleyway who fired the rocket-launcher! He was standing over Sam, dart gun in hand. ‘What?’ But the suit, the metallic, scrambled voice . . . that was Solaris, right? ‘That’s not the real figure from your dream. She’s an impostor.’ Shiva glanced around, alert. Does he think the real Solaris might be close by? ‘Why didn’t you warn us about her?’ Sam asked. ‘She shot down our jet . . .’ Sam said. His voice faltered. The sprinklers in the museum above continued to spray a steady stream of water that cascaded down through the gaping hole in the ceiling of the subway station, flooding onto the tiled floor around them. ‘The police will be coming. Sam, you should go.’ Shiva backed off, looking towards the ceiling. ‘Wherever your dreams take you,’ Shiva said. Sam looked at the crystal in his hand.